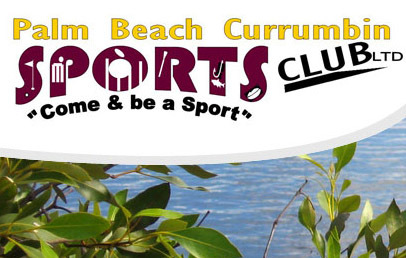 Palm Beach Currumbin Sports Club has been established for over 25 years. Serving the local community by offering affordable meals and beverages as well as the opportunity for participation with our affiliated sporting clubs: Senior and Junior AFL; Senior and Junior Cricket, Fishing Club, Golf Club and Outrigging. Our dedicated Board of Directors volunteer their time to ensure the club continues to prosper and provide for residents and visitors of the Gold Coast.